Charity Car is a business working in cooperation with Standard Auto Wreckers. Their recycle-only process ensures that donated vehicles are dismantled in an eco-friendly manner, with net proceeds being distributed to your chosen charity. Service is advertised across the country. Gifting your vehicle to charity is no small choice! You’re considering the market condition in your area, how much time you have to spend on selling the vehicle, whether or not the vehicle should go up for sale, or if it’s ready to come off the road. If your research into vehicle donation has you wondering about the differences between Canada’s vehicle donation programs and the various options available, check out our blog, “The Nuts and Bolts of Vehicle Donation” (January 8, 2015). At Donate a Car Canada, we will have the option to either recycle or auction your charity car, and your donation outcome goes to your charity of choice in full. You will always have the freedom to choose the cause that resonates most closely with your own circumstances, and Donate a Car Canada staff will be personally involved in working alongside you every step of the way! How are my Charity Car dollars managed? A line of questioning to consider when checking donation options might be in keeping with one of our recent donor’s queries: “Of the $586.71 you quoted me as my donation outcome, how much will actually be sent directly to the charity?” This question is significant because there is actually a difference between your donation amount and the dollar figure you see on your tax receipt. For more detailed explanation on this, please read our recent post, “The Surprising Difference Between a Tax Receipt and a Donation Amount”. 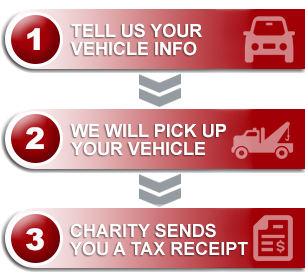 Finding the right charity car program for you and your vehicle is in reach! If you’re ready to donate today, simply visit us here. We can’t wait to see your submission and forward your gift on to the charity that means the most to you! Car Heaven Vehicle Donations – Donate Today!